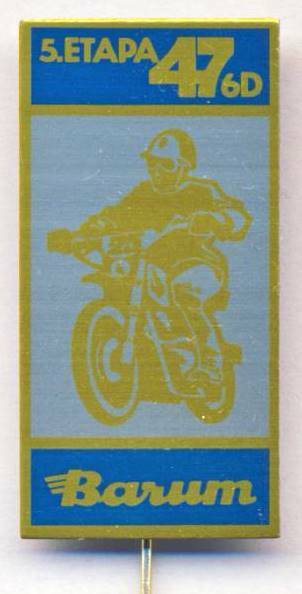 I am now collecting all the printed materials scattered across articles into one sequential list on its own page to enable easier access for research purposes. 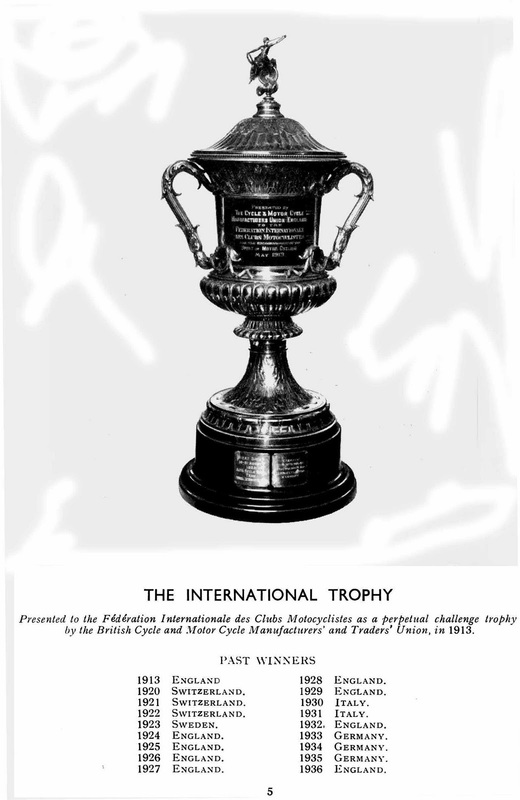 Photo of the International (now World) Trophy which was awarded up until 1948 which is the premiere prize of the event awarded to the Trophy Team of each nation entered. 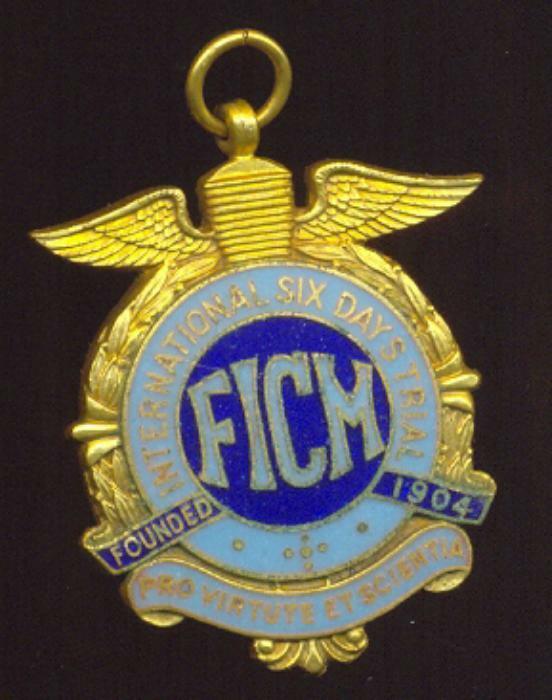 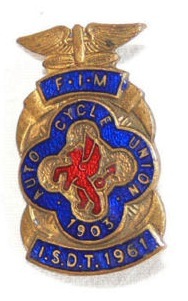 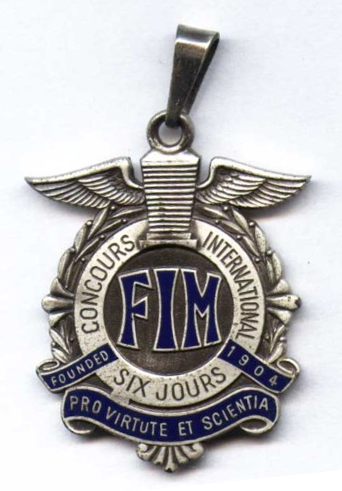 The Trophy was originally presented to the Federation International des Clubs Motorcyclistes (FICM) by the British Cycle and Motorcycle Manufacturers’ and Traders’ Union Ltd. and was originally intended to be awarded to the best national team riding motorcycles manufactured in that same nation. 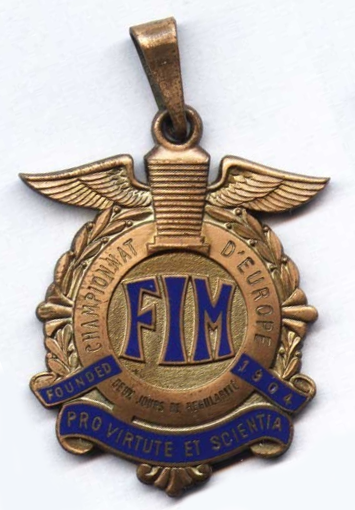 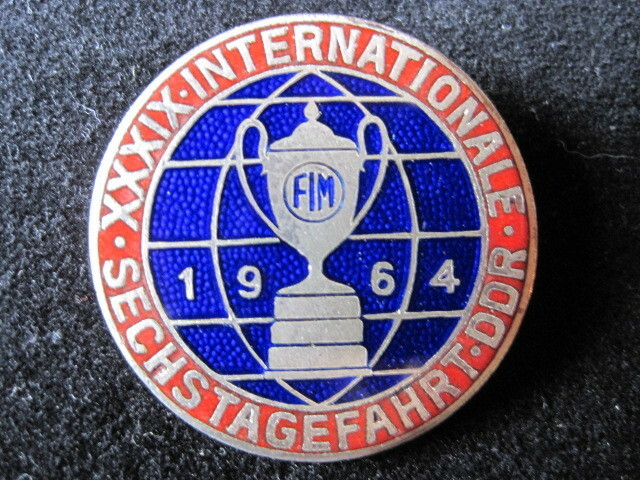 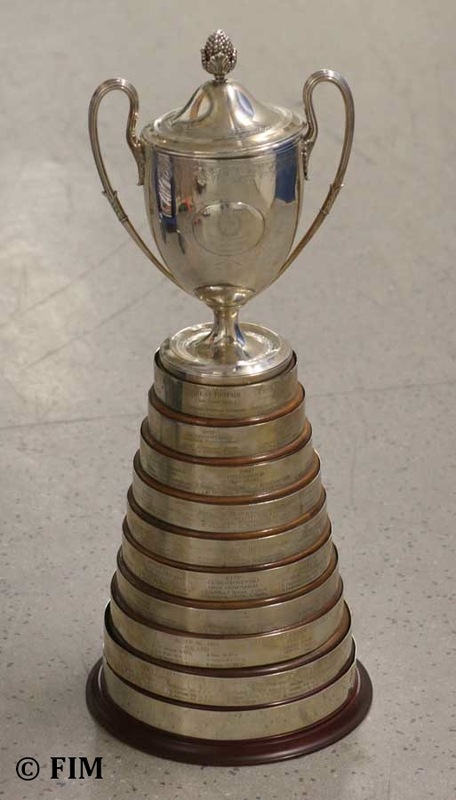 The original trophy was replaced with a new challenge award in 1949 consisting of a George III Antique Silver Cup and Cover then being passed to the FIM on its formation. 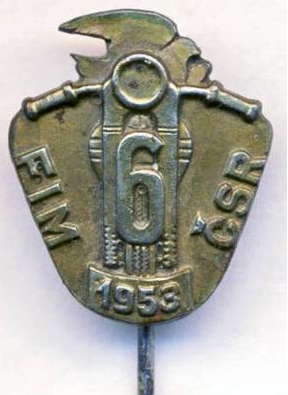 Eventually the principle of home nation manufactured motorcycles was dropped, probably about the same time the British Motorcycle Industry fell to its knees and lost its dominance in the UK. 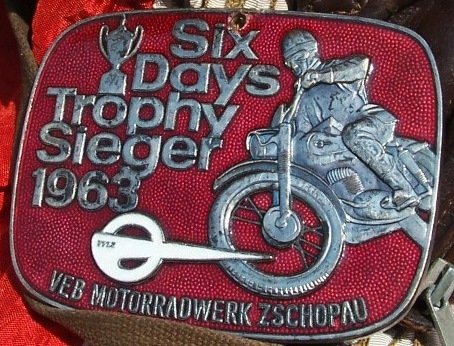 Photo of the International Trophy along with the three other trophies awarded at the ISDT. 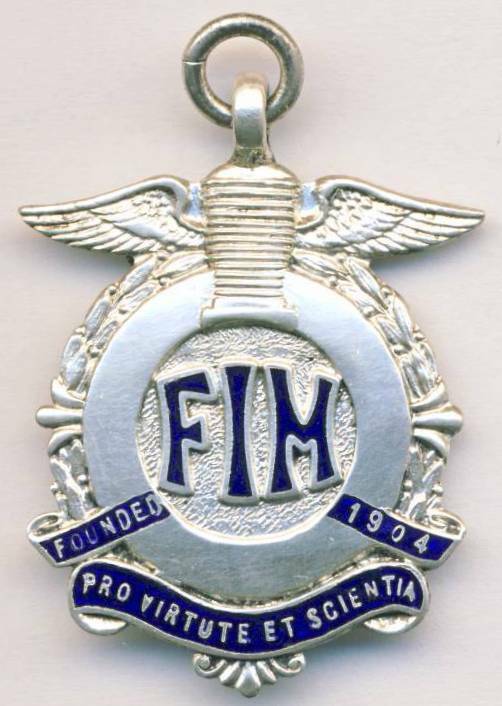 The Silver Vase was originally provided by subscription of the national federations who made up the FICM on the instigation of the Royal Dutch Motorcycle Federation (KNMV). 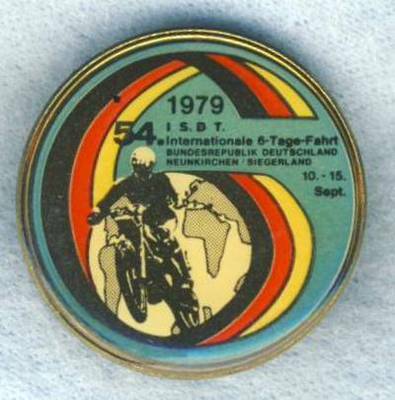 It was open to teams of four riders who could ride machines of any national origin. 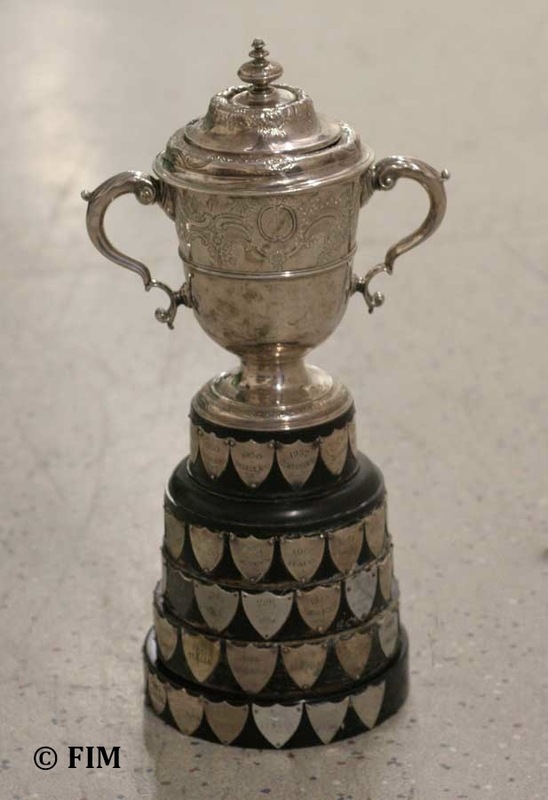 As with the International Trophy, the Silver Vase trophy was replaced in 1949 by an Antigue Silver George II Cup with Cover. 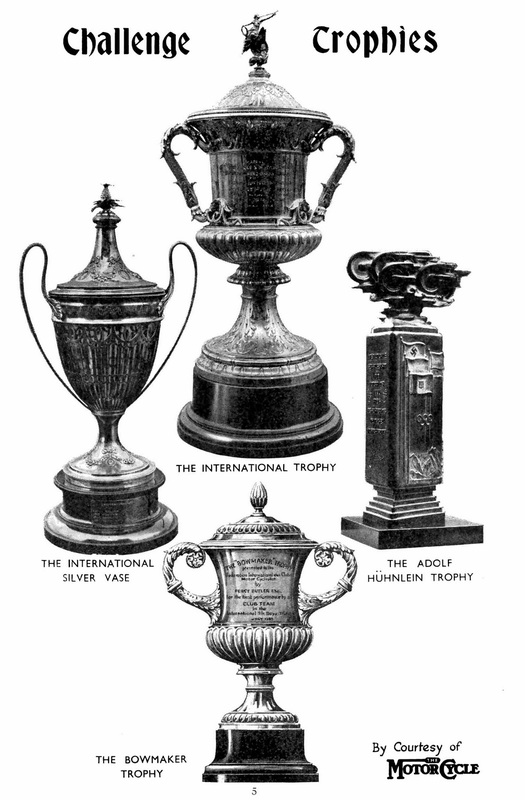 Later on in the time of the ISDE the Silver Vase award was changed to become the World Junior Vase and is a team competion aimed at younger aged riders. 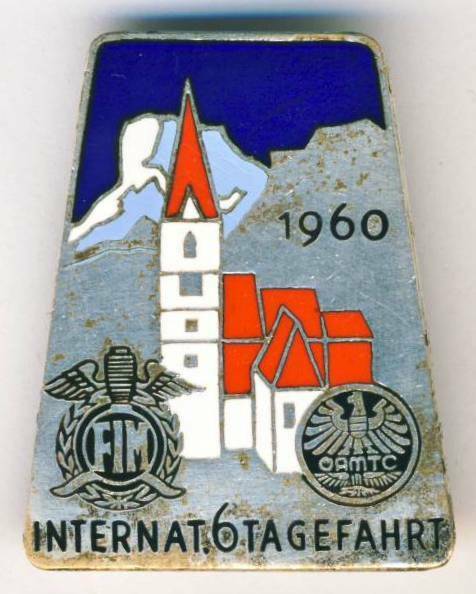 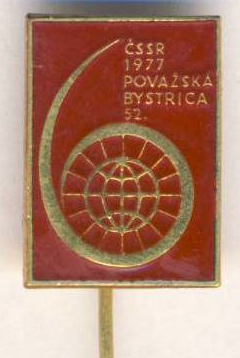 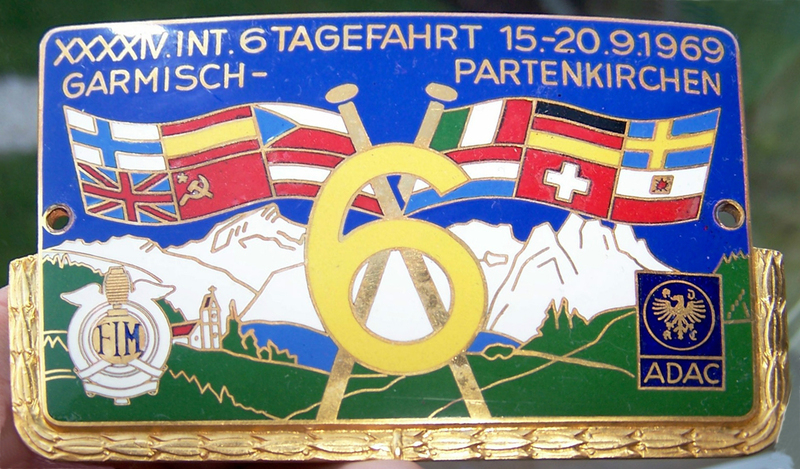 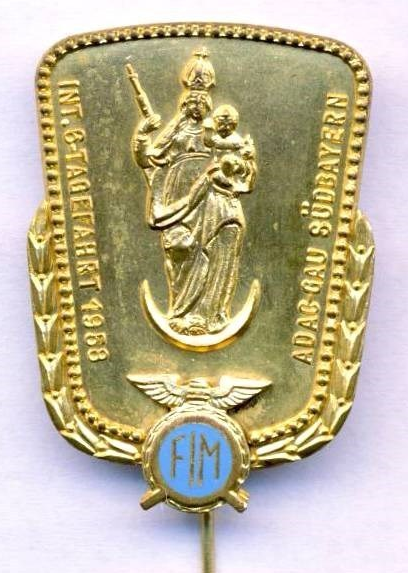 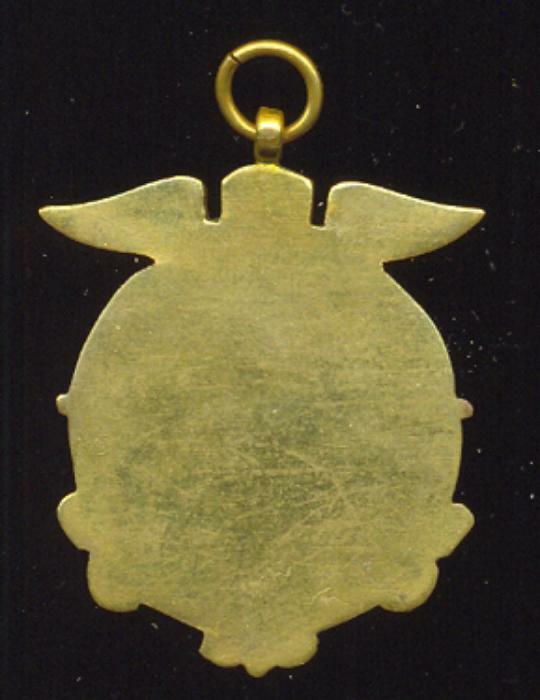 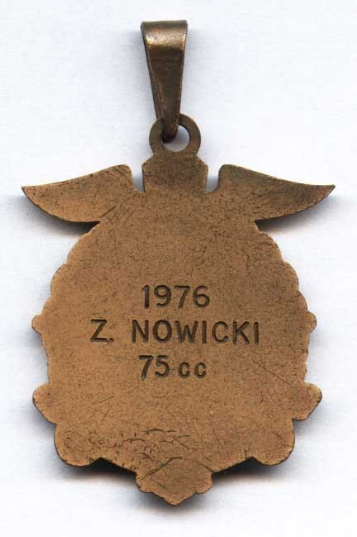 An undated medal seen on eBay in 2012 was sold in Czechoslovakia. 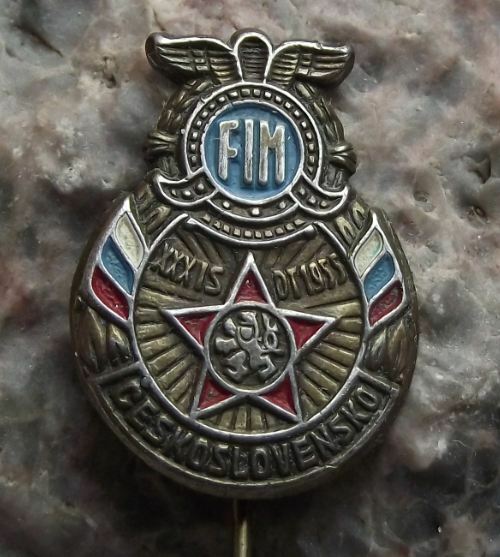 It is a blank that is not engraved there is no information on the sale who this was awarded to and other than the FICM name its date is restricted to before the formation of the FIM. 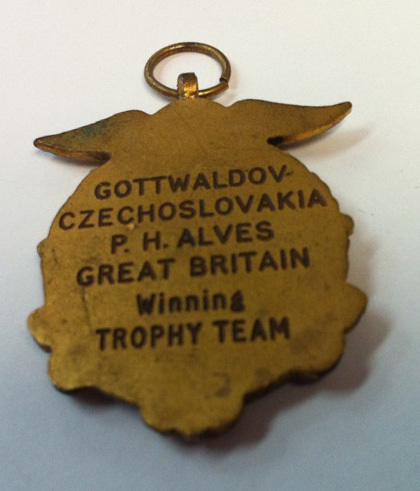 The below medal is the Gold medal awarded to P H Alves who was on the British Trophy Team. 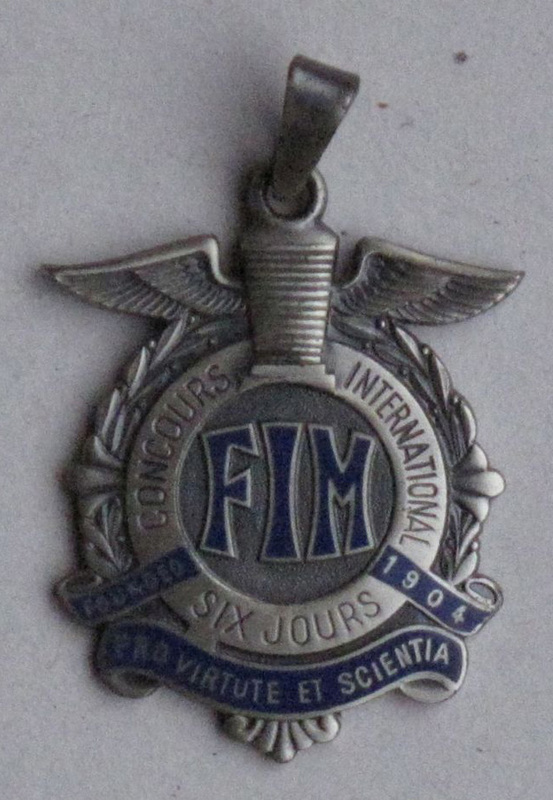 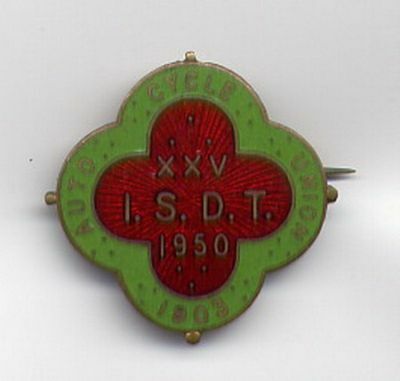 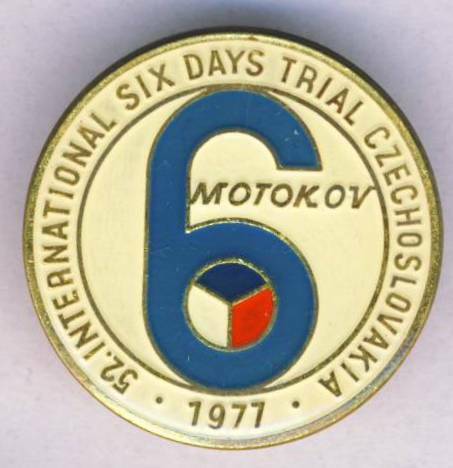 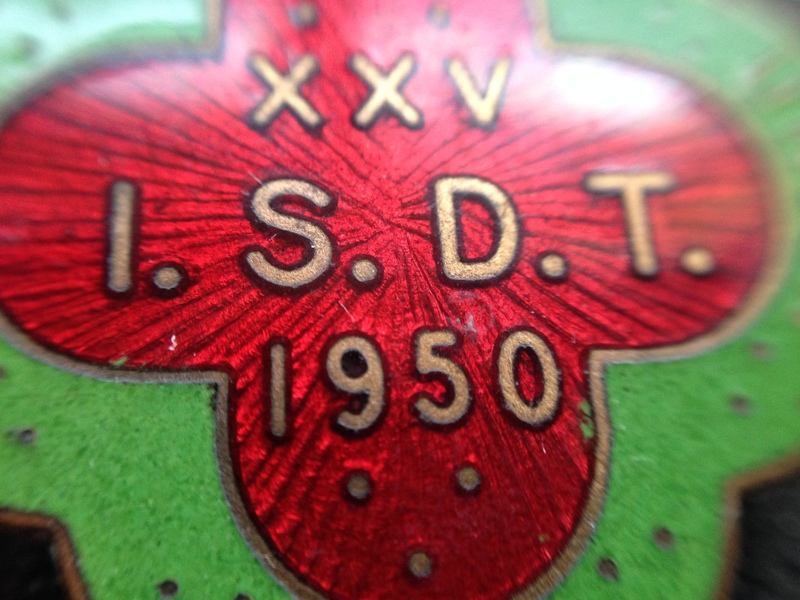 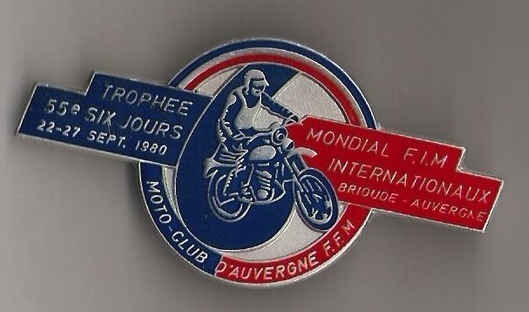 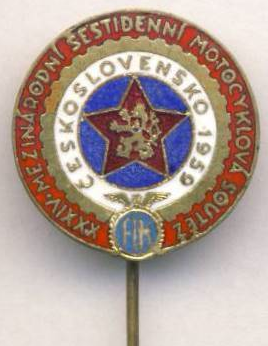 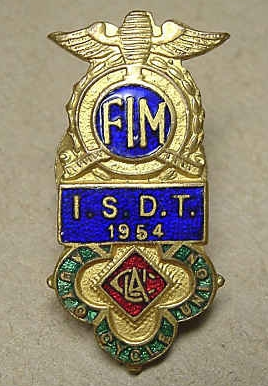 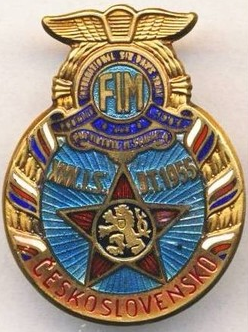 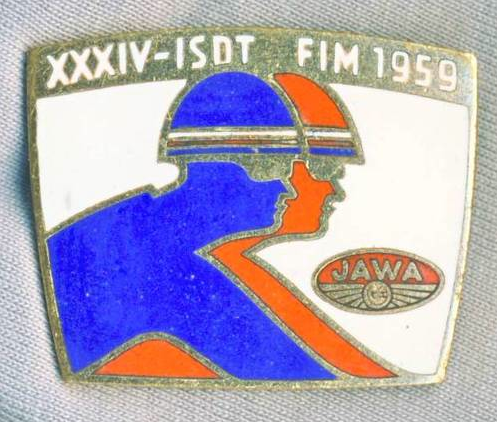 In 2012 friends of PH Alves started to help to distribute his motorcycling momentos with major awards going to the National Motorcycle Museum and other items such as this medal from the 1953 ISDT. 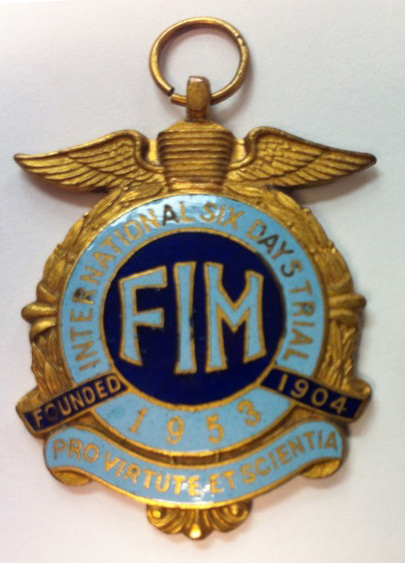 Undoubtedly not only one of the ISDT’s greatest riders Malcolm Smith may be one of the sports most legendary riders with many wins and successes in Enduro events in the USA. 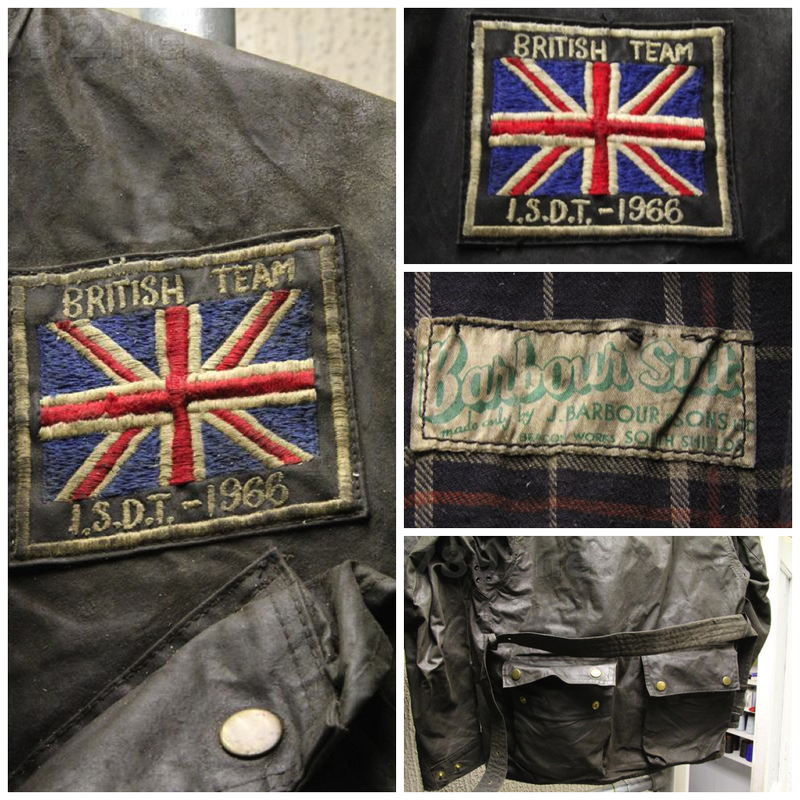 Based in the US his company Malcolm Smith Racing became one of the leading suppliers of accessories and clothing to the sport across the world. 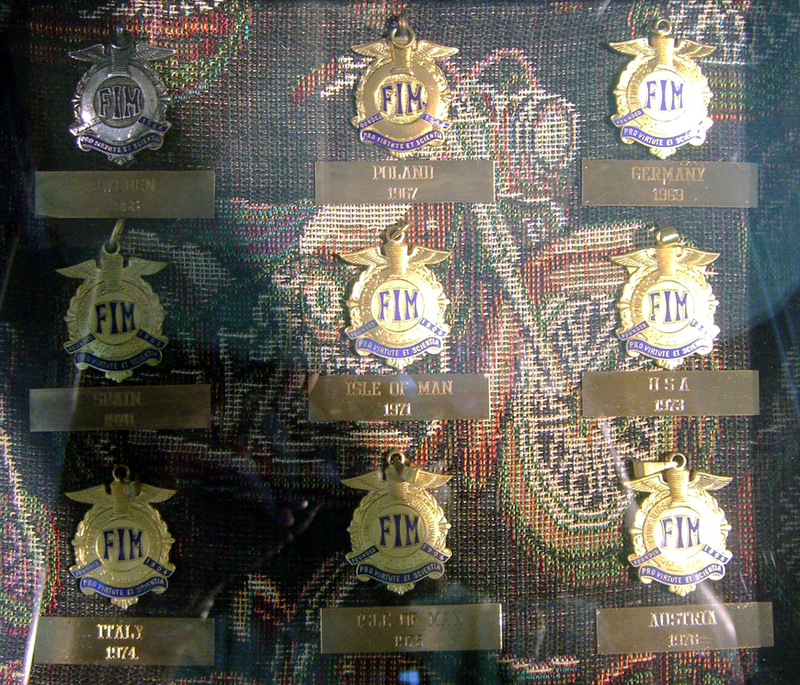 Hopefully somebody in the US will one day be able to supply a clearer image of this great collection of medals. 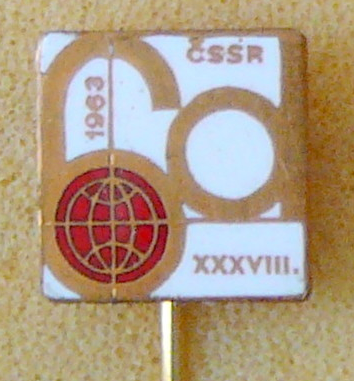 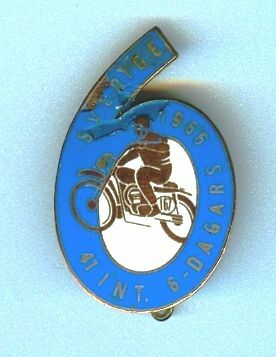 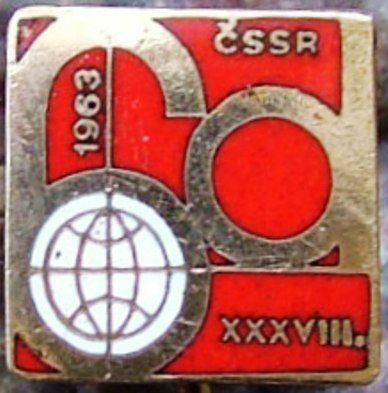 Brian Catt’s 1963 souvenir Badge! 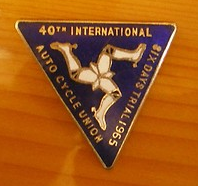 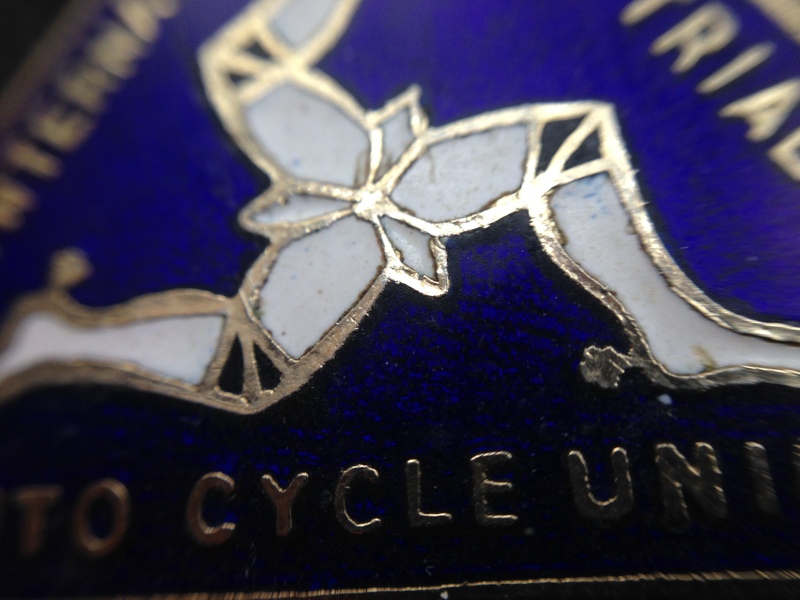 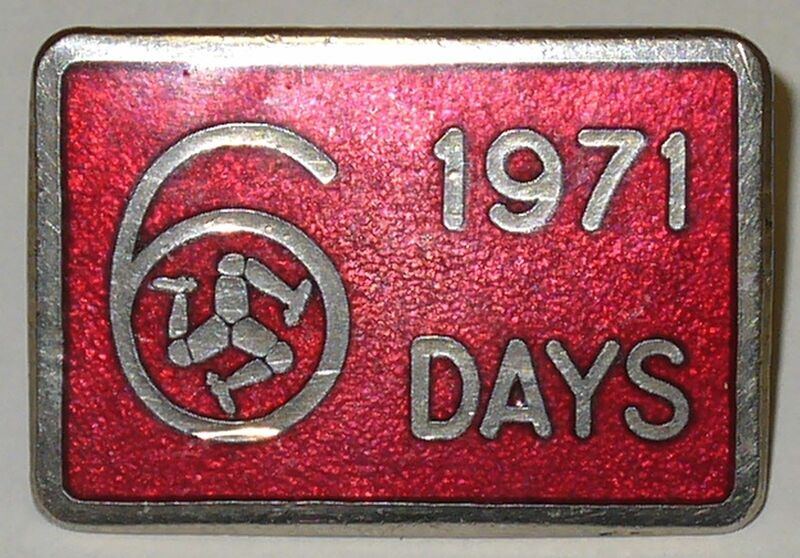 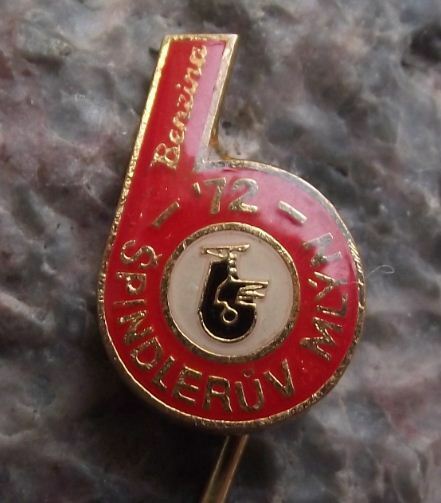 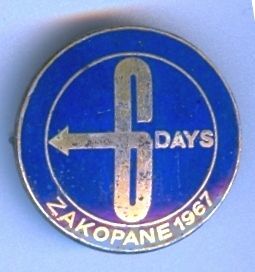 This Badge was unearthed by Brian Catt for us, many thanks Brian. 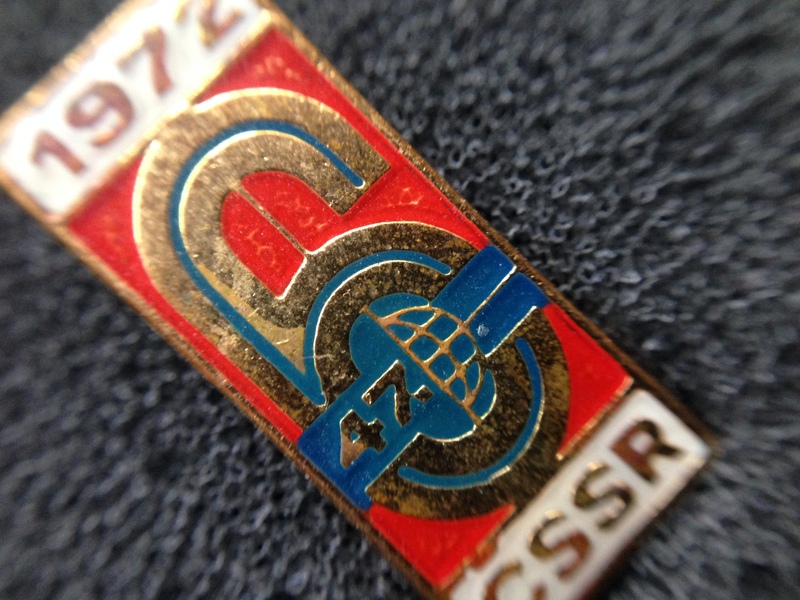 Treasured item from Brian Catt’s Attic!!! 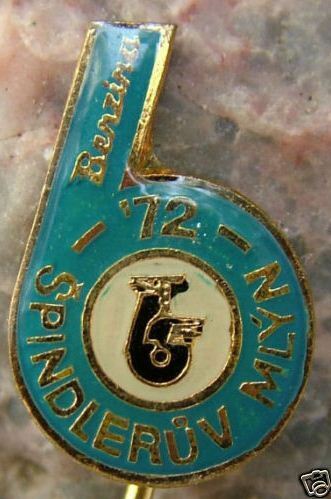 thanks Brian. 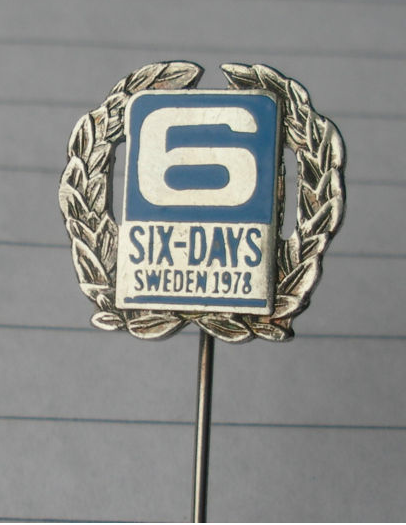 How do I send you additional pics? 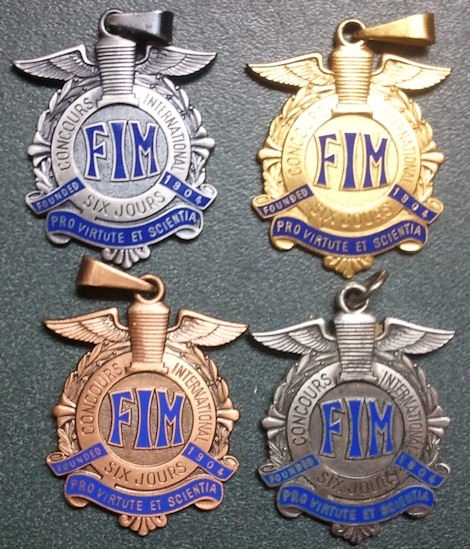 I have quite a few more to add to the collection! 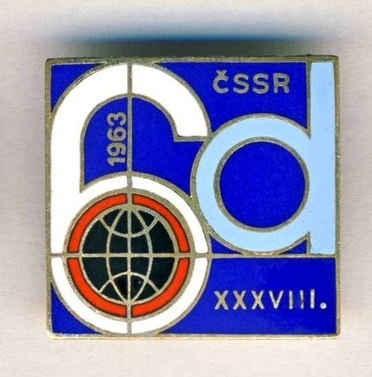 If you give me an e-mail address, I’ll send you stuff as I have time to sort it out. 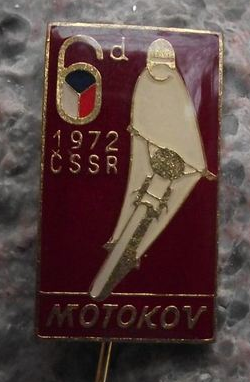 I have a strange medal or medallion on a gold chain in a box that I got from MOTOKOV in Montreal 30 years ago. 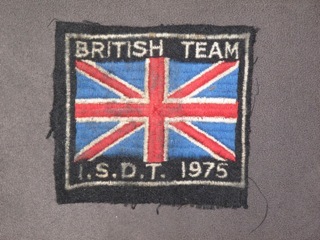 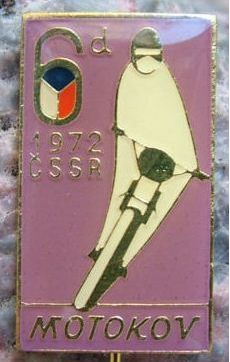 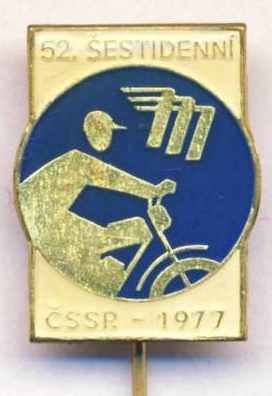 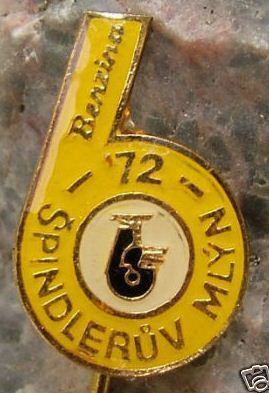 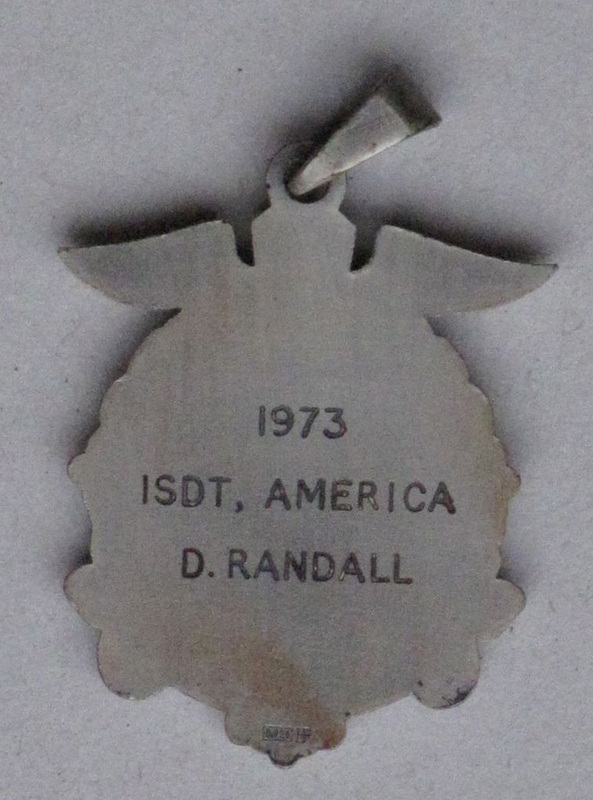 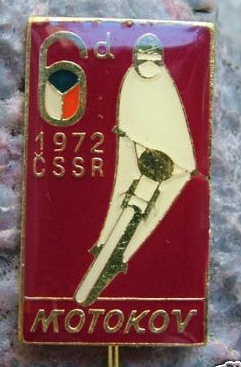 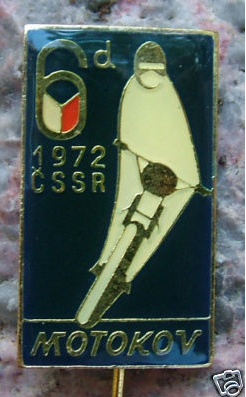 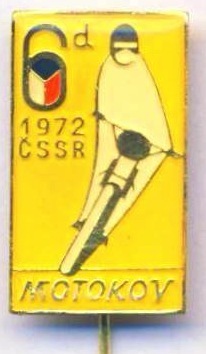 It is marked ISDT 1972. 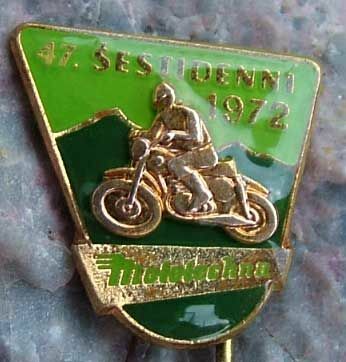 Can I send you a picture? 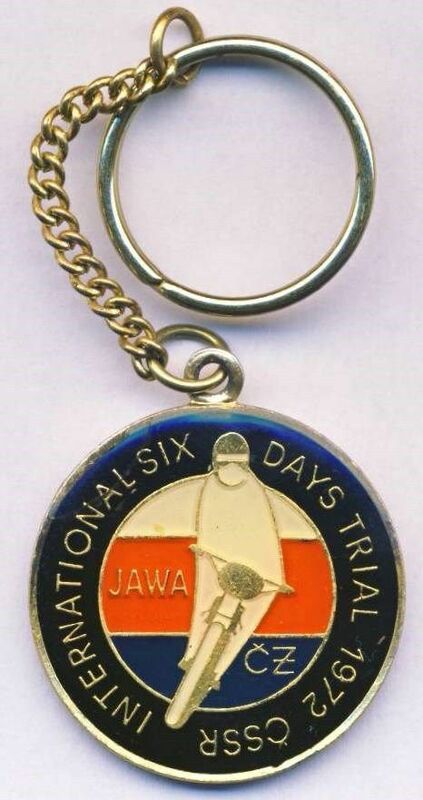 I would like to know more about it. 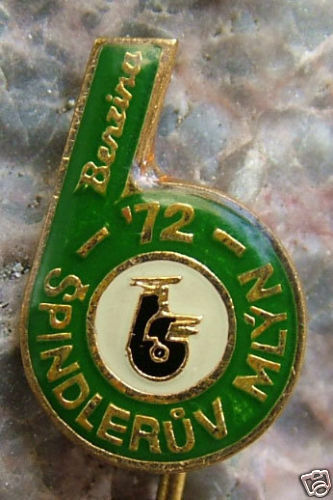 Thanks for a great site. 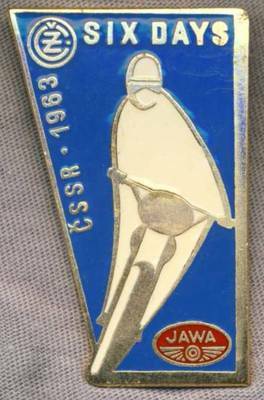 I have quite a few pins which my father collected thru the years, when he was the President of the Canadian Trophy and Vase team. 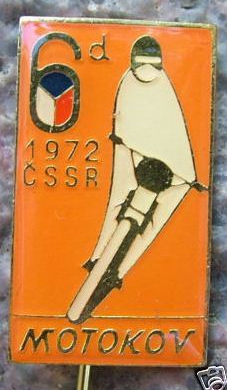 Are there any collectors out there??? 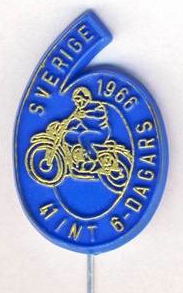 Is Helmet Claussen still around??? 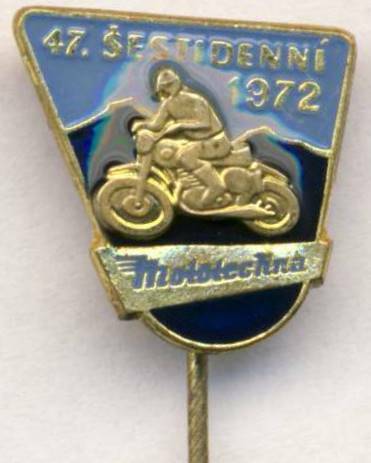 I had an email off him a while ago. 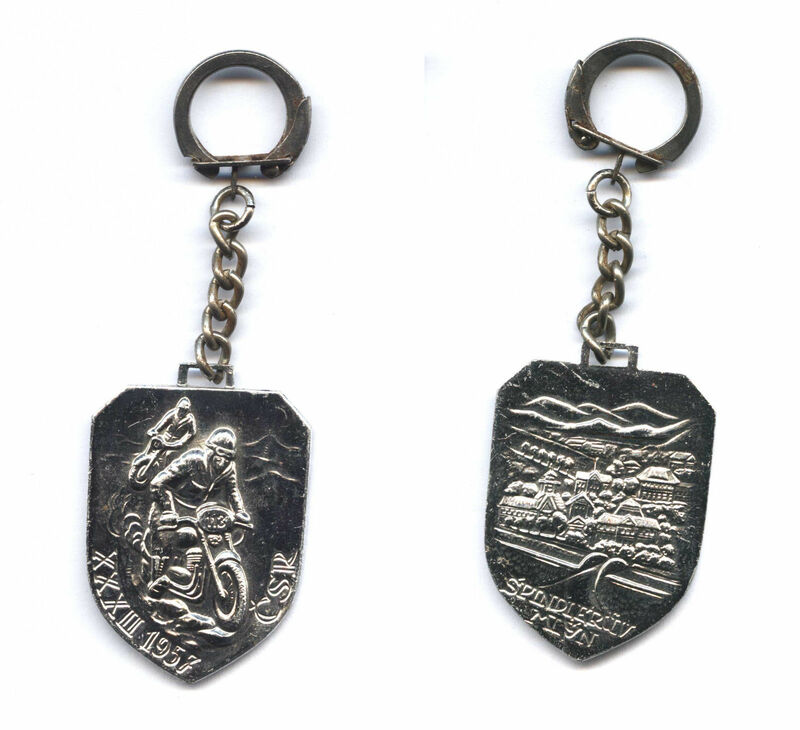 He has his own site which is where the many photos we use of his come from. 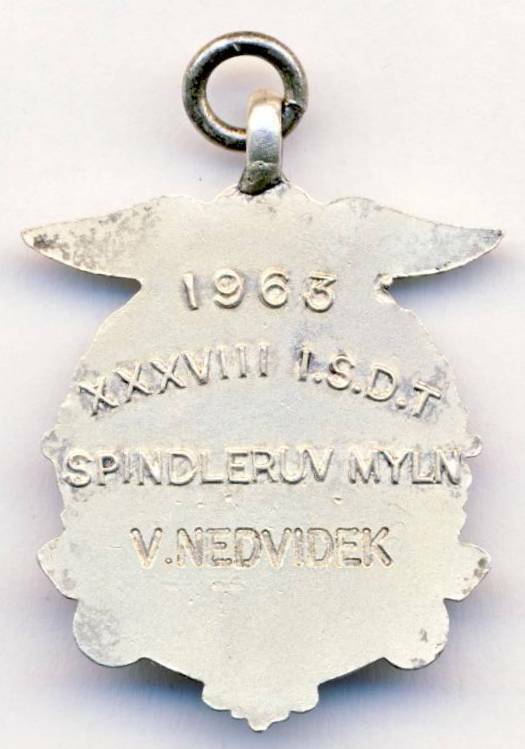 Helmut “Speedy” Classen is alive and well in the USA as far as I know. 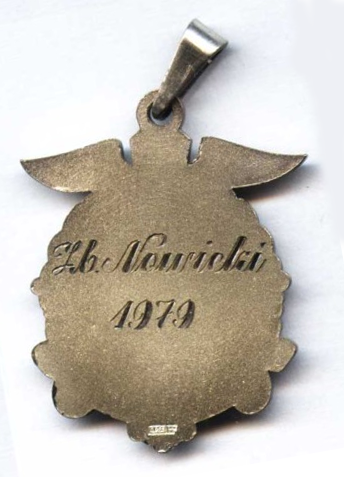 Hi,if anyone is interested I have lots of stuff relating to olga kevelos dating to the 40s / 50s ,it came out her old family home in Birmingham .I have some really interesting items.